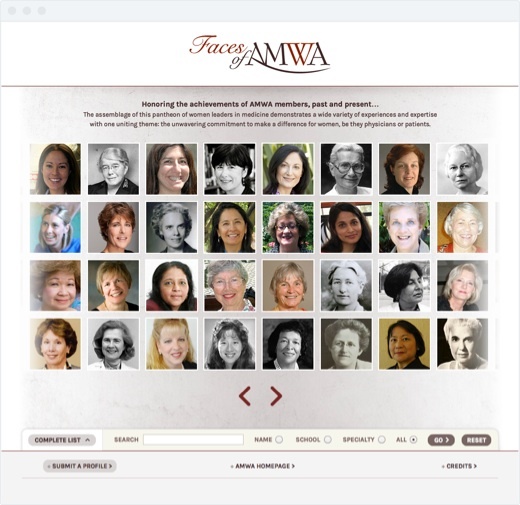 Interactive for anniversary of American Medical Women’s Association. The Flash interactive used external files for all of the content, so the client could add new profiles. The photos of all of the bios scroll horizontally, and they load in a random order. Clicking on a photo pulls up the corresponding profile. 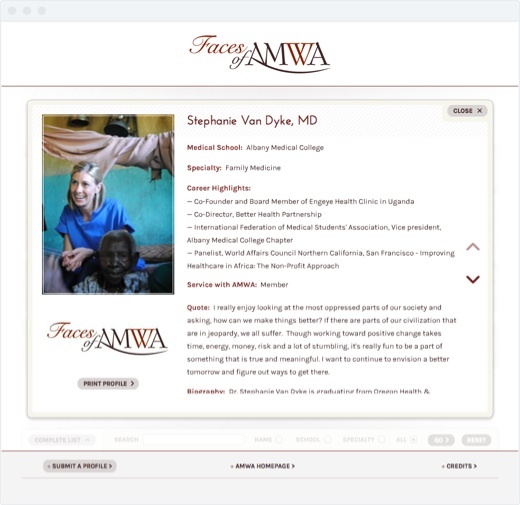 The individual bio screen slides up from the bottom, and has their name, medical school, medical speciality, career highlights, their AMWA service, a quote and a photo. The “Print Profile” button produced a high-quality PDF. 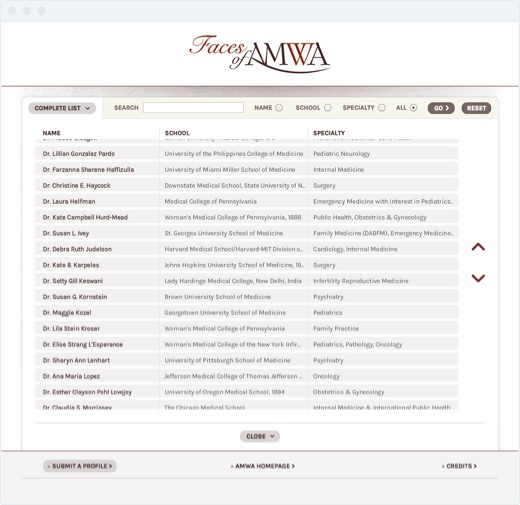 An alphabetical list of the profiles is available by clicking on the “Complete List” button at the bottom. The list includes the medical school and specialty. Their is also a search bar that lets the user search by name, school, specialty or all three.